There are generally two kinds of business travellers – those who enjoy it and those who struggle with it! Love it or hate it, there are times when travelling for work can be overwhelming. There’s sitting around waiting for flights, jet lag and being away from family and friends to deal with. Of course, there are ways to combat these issues, and having a good travel management company (TMC) on board will help. 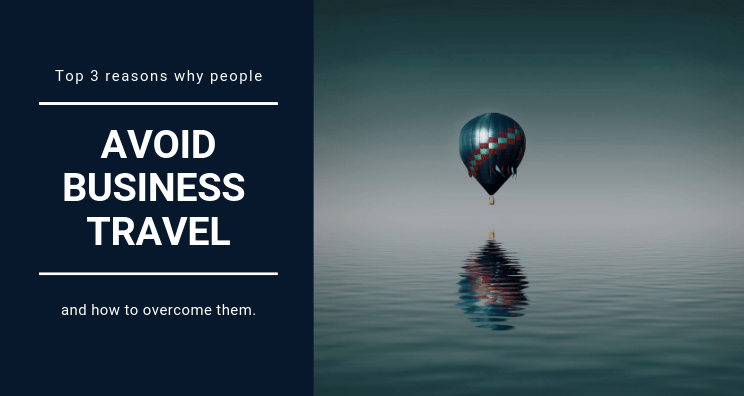 Let’s take a look at the top reasons why people don’t look forward to corporate travel, and what can be done about it? Whether it’s four times a year or once a week, business travel involves leaving home and family, and often missing important personal events. There’s also the risk of travel burnout. Business travellers have to contend with jet lag, then there’s the actual work. Meeting with people and constantly sharing meals means they need to be more ‘on’ than usual. If they aren’t giving a presentation or leading a meeting, they’re having to listen intently so they can report back. Generally, business travel involves a heavy schedule. What’s the solution? A TMC can organise itineraries around personal commitments, and make sure there’s no wasted time between stops. Even better, they can intentionally arrange itineraries with enough downtime between meetings so travellers can recharge. TMC’s will also provide travellers with online access to their itineraries, which provide them with control and further ease to schedule breaks where possible. Many employees question whether travel is actually necessary. If they are travelling specifically to close a deal or meet with important clients, then there’s an obvious return on investment. But today’s world is a lot smaller than it used to be. People can connect over email, social networks and Skype or similar apps. There are definitely times where meeting in this way is sufficient, yet companies still require employees to travel because they understand the benefit of face to face meetings. When travelling, it’s often up to the employee to manage their expenses and the paperwork required. The admin is tedious and time-consuming, yet it’s necessary so the traveller can reconcile spend. A TMC can help streamline the management of expenses. Request that all chargebacks for the big-ticket items such as flights, accommodation and car hire are handled by the TMC. This means all the traveller needs to consider are their personal incidental expenses. Business travel can be physically demanding. Travellers need to cope with jet lag, and often struggle with getting enough exercise and eating well while on the road. To ease the transition to a new time zone, suggest travellers maximise their exposure to daylight at their destination and take short naps if they feel tired. A TMC can also help by tailoring routes and stops to minimise jet lag. Encourage staff to stretch in their seat and move around during the flight. Once at their destination, suggest heading out for a short walk as often as possible. Recommend that employees buy some healthy snacks once they get to their destination, and keep these on hand during the day to avoid purchasing junk food. There’s no doubt that travelling for business can sometimes be hard. But by looking after your staff and using a TMC, you can improve the travel experience and boost the bottom line. Are you looking to engage a TMC? Talk to us about the ways we can streamline your travel procurement and keep your travellers ready for more.